Please note: these products were first made with Böhler M390; you may still find some of these M390 blades in the marketplace. All current production is shipping with Made-in-the-USA CTS-204P. 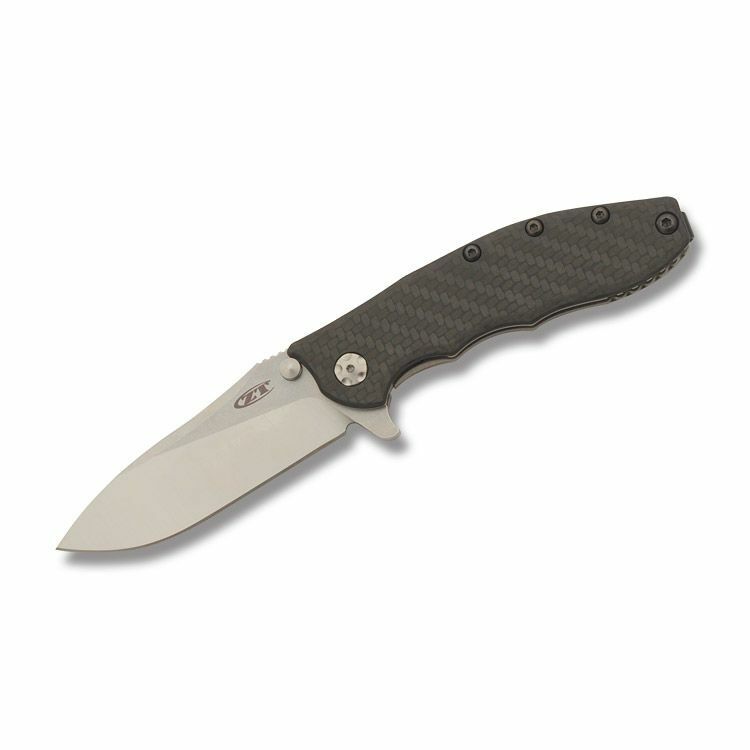 The cousin of the 0562, this ZT features the same special Rick Hinderer flat-ground “slicer” grind that provides both slicing efficiency and a tough point, but on a Carpenter CTS-204P powdered steel blade. 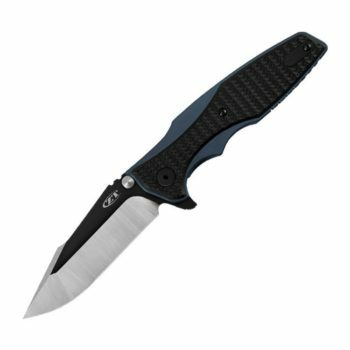 CTS-204P offers a premium combination of features: the ability to take a very sharp edge, wear resistance for superior edge retention, toughness, and polish-ability. When creating this alloy, one of the uses Carpenter specifically had in mind was making custom knives. 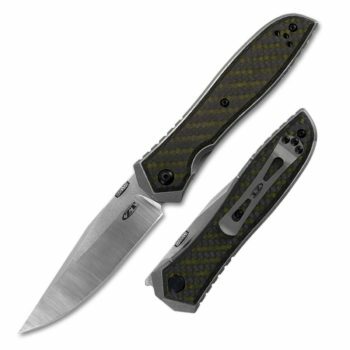 The 0562CF’s handle has a carbon fiber front scale and stonewashed titanium back. 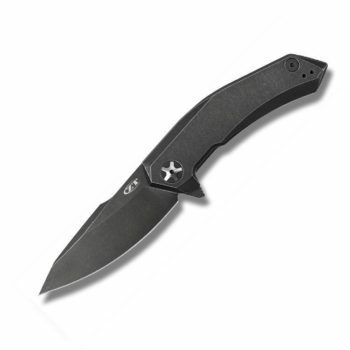 For secure lock up during use, ZT uses a frame lock with hardened steel lockbar inserts and lockbar stabilization. The knife opens with a flipper and moves out of the handle on our smooth KVT ball-bearing opening system. 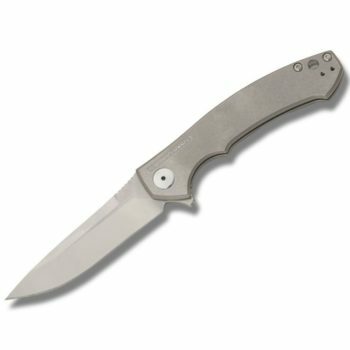 A washer with caged ball bearings surrounds the pivot and makes opening the knife nearly frictionless; just pull back on the flipper and add a roll of the wrist and the 0562CF is ready for action. The unique pocketclip is reversible (left/right) and enables extra-deep carry in the pocket.